Worried that someone might have gained access to your house or office keys and may try to gain unauthorized entry into your property? Sounds like you need our rekey locks emergency service now! What is rekeying and why do I need it? 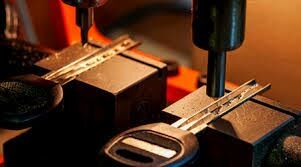 Rekeying locks is a procedure that any locksmith can perform with the right tools and technical expertise. It’s a relatively simple and quick procedure wherein the tumblers or wafer combination of the lock is changed so that it now works with the new key. When you get a quick rekey locks emergency service, the current key immediately becomes redundant as it will no longer be able to operate the lock. Lost keys: If you have lost or misplaced your keys and suspect that it might fall into the wrong hands, you must get your locks rekeyed. Unruly tenants: Have you recently evicted an unruly tenant who may still have the key to your house? Get your locks rekeyed to prevent them from regaining access. Miscellaneous reasons: Many people get their locks rekeyed from time to time just for safety, while others might avail the services after a fall out with someone whom they had trusted with the keys in the past. Burke Locksmith Service offers quick, affordable, and damage-free rekey locks service to residential and commercial clients in Burke, VA. Our trained locksmiths come from years of experience and can work on all varieties of locks, right from advanced modern designs to traditional mechanical locks. Do you need an instant rekey service? Do you wish someone could rekey your locks in the middle of the night? Burke Locksmith Service to the rescue! For many years, we have maintained the quickest response time in the region and can reach anywhere within just 15-20 minutes. Plus, our team monitors calls all 24 hours a day and delivers even if it is well past midnight. Whether it’s peak holiday season or an ungodly hour, you can always rely on us to resolve your issue. Many locksmiths dupe their customers into carrying out a hefty replacement service when a rekey could have served the purpose at a much cheaper price. We are not one of those. 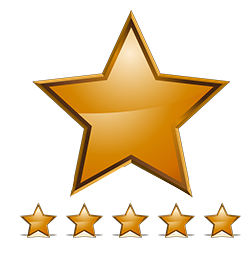 We are known for our honesty and integrity and will always offer the right suggestion after inspecting your locks. 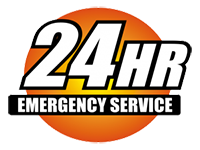 Avail our rekey locks emergency service anytime and anywhere in Burke, VA area. Call us now on 703-445-3543 !